A statementfrom the zoo said their meeting was 'carefully planned' and admitted it was 'high risk', but added it was the next step to take after the pair showed 'obvious positive signs'. 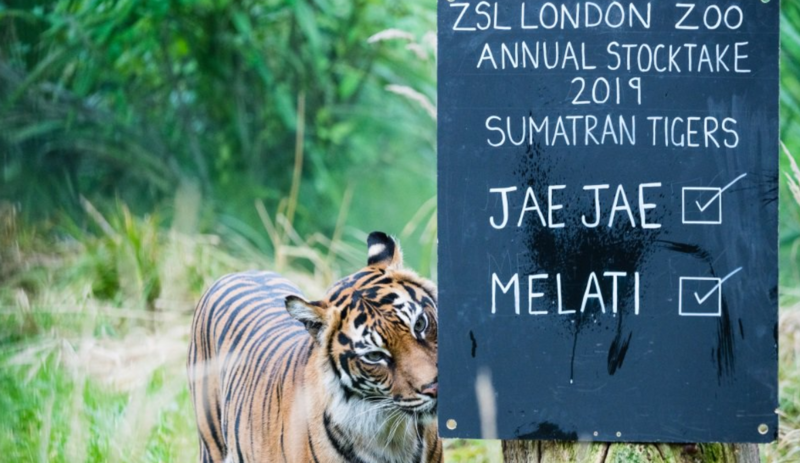 The ZSL statement said: "This morning, new male Sumatran tiger Asim was introduced to Melati for the first time. 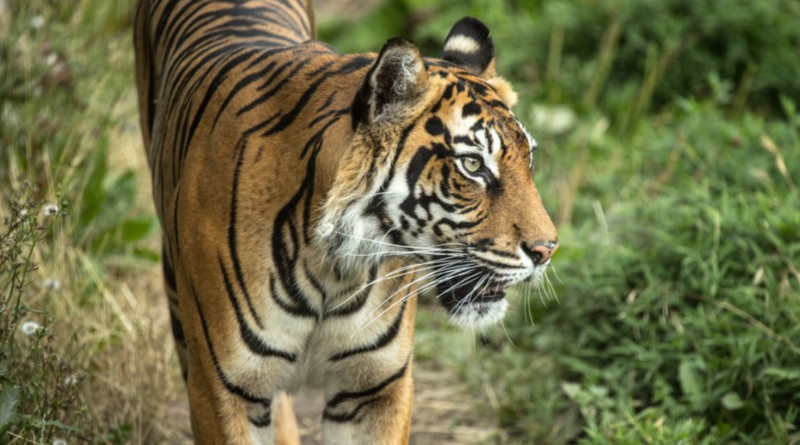 Since Asim's arrival ten days ago, the two tigers were in adjoining enclosures, where they could see, smell and react to each other before being brought together. 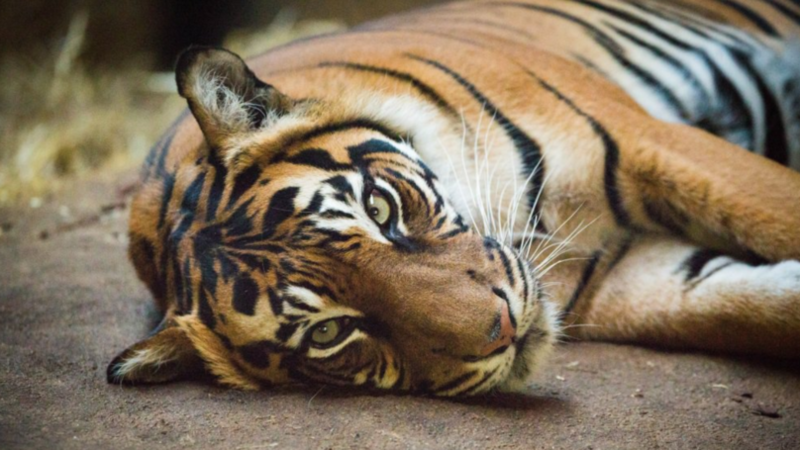 "Following careful monitoring of the tigers' reactions to each other, zoo experts observed obvious positive signs, and felt it was the right time to introduce seven-year-old Asim, and ten-year-old Melati. It goes on to explain how the beginning of the two tigers' introduction went as 'predicted' but things went south soon after.